You might find these two videos are similar in some aspects, especially the visual effect of Asian traditional painting. The similarity between the two teasers revealed Chinese gamers’ perception of domestically-made video games: we make our own work by copying from others. However I think it seems unfair for Chinese games. I admit the similarity, but I considered it as a gesture of following the trend in the industry and a studying process. The two games all applied the visual effect of “cartoonization” (pardon my English, If there is a better word, let me know). Yet no one was accusing one copying another. 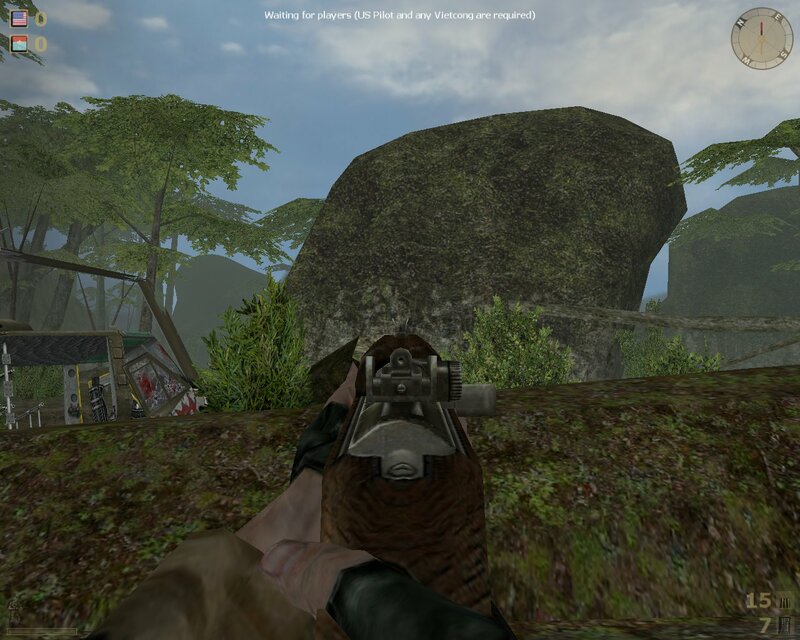 FPS game Vietcong was among the first few games that introduced the concept of iron sight to the FPS genre, then the concept is used by games such as Flashpoint, Call of Duty and eventually nearly every FPS games on the market. Yet no one was accusing the “stealing of concept either”. Do you see where I am getting at? sometimes borrowing a concept isn’t copying or stealing, If the developers can implement the concept/features well into their own game, it definitely makes the game a better one. Others are doing it, and we should do it as well, for the sake of making better and better games. If the gamers feel the need to critique, they need to focus on the application of these concepts instead of the act itself. After all every one deserves to learn, and they need to learn from others’s work. Be proud of your gamers identities. Gaming is a entertaining activity. despite all the negative issues that gaming has involved in, there is nothing to be ashamed of If you’re a gamer. It’s just as normal as, or should I say, as cool as a basketball fan or what else you have on your mind. Don’t be a game snob. You are a gamer, the games you play does not define who you are. you should not let other gamers judge you by your gaming preference and more importantly, you should not judge other people by the games they play either. Playing games like Halo does not make you worse than others and playing World of Warcraft certainly does not make you better than others. Respect other’s gaming preferences. Give substantial advises to game developers when given the chance. Support our game developers, encourage them to make high-quality games for us to enjoy.If the game is considered distasteful by you, try to be nice, tell the developers what you expect in a decent game, don’t curse them, they( at least most of them) work very hard to deliver the game to you and they deserve your appreciations. So that gaming would not be the thing that consume all your time. Or in other cases, If the situation won’t allow you to play games, you have some other ways to enjoy your spare time. Which I think, would be a solution to reduce gaming -related crimes in China. Pay for your games, to the right person. I can’t stress this enough – the copyright issue in China. Like I mentioned above, the developers worked very hard to deliver those great games to us, they deserve to be rewarded, both mentally and materially. After all, it’s what they do for a living. Paying for the game you like means a lot to them. And remember, give your money to the authorized retailers. 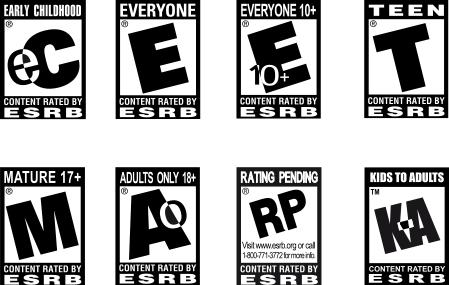 Do we need a rating system like the ESRB? In China, we don’t have an official game rating system for the gamers. Instead, we tend to regulate gamers’ gaming practices. Gaming within 3 hours is defined as “healthy”, gaming between 3-5 hours is defined as “exhaustive” and gaming duration over 3 hours is defined as “unhealthy”. With the established definitions, online-game developers are required to build in a penalty system that cuts down gaming bonuses (e.g. experiences, in-game currency and items. etc.) when the gamers pass the “healthy” phase. Besides, the developers are also required to building notification system aims to notify gamers for their online gaming time: the notification starts when the gamers pass the 3 hour limit, and will become more frequent if the gamers choose to continue the game. While we give the regulators credit for their good will towards underage gamers, we are skeptical about the regulations. Then what about PC/Console gaming? how do you measure gaming time that’s offline, is that even doable? If not, what would the regulators do for underage gamers who plays only offline games? How can they be sure the game is suitable for gamers of a certain age? While you are frustrating about being beaten by a 12-year-old in Call of Duty(which is rated Mature by ESRB), should you also be concerning about the influence Call of Duty has on the kid? With that being said, we do need to have content rating system, like the ESRB. However, Chinese regulators cannot just bring everything ESRB has established to China. the system won’t fit our situation because our gamers are different from gamers in the States due to socio-economic and cultural differences. We need to develop our own rating system based on the factors around us. Working in a gaming company, are you ready? 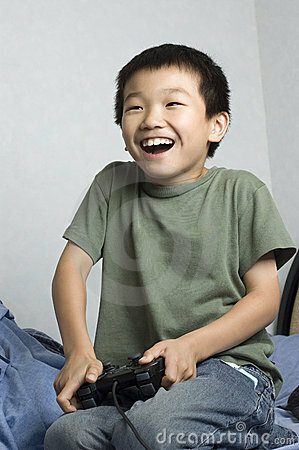 The general outlook of gaming industry as a career path in China is promising due to the development of online gaming. Recently the emerge of social and mobile games are developing in a very fast pace as the developments of mobile devices continue. The development of social and mobile games does not necessarily indicates a decline in the online gaming segment. Online gaming in China has moved to a mature phase which the growth is steady. The position generally requires high level of tech knowledge. Due to this reason, there is a strong demand of applicants and therefore a higher payment for the people in this position. The applicant are usually expected to be familiar with 3D animation, modeling and special effects. Many of the game producer started at Animation studios or other visual production agencies and this might be a start for those of you who are planning to choose this path. As the title suggests, applicants will be responsible for the development/programming of the games’ core mechanisms. Although this is also a tech-related position, the industry’s demand is relatively lower (but still high in general) because programmers are not as few as producers since almost all colleges/universities in China offer C++ and java courses. A position responsible for market research, business model building, marketing and public relations. This is also a high demanded position due to the seemingly polarization of job applicants in China: those who are familiar with gaming are new to product management, those who are familiar with management are sometimes new to gaming and the overlap of the two “polar” are considered rare. A product manager is required to have the ability to understand the gamers in order to figure out their needs and demand, then communicate what they find to the producers and the developers. Plus, it is preferable for a game manager to familiarize with not only their own games but also games from other companies and the production/development process in order to improve the business performances. with the fast-pace development of social media, it is crucial for the managers to become social media savvy. With the steady online gaming market, the fast growing social/mobile gaming market and the PC/consoling market, which is striving to make a comeback. The demand of human resource of every gaming company in China is increasing. While being excited by the opportunities, are you ready to take up the responsibilities? Contemporary Gaming in China 101: Give Domestically-Made Games a chance? Do Chinese gamers play domestically-games? Yes and No. Based on my observation, industry revenue generated through online gaming in China contributes to most of the total industry revenue. Revenue generated through domestically made online games, contributes a large portion of the online gaming revenue. But for PC games, It’s not looking as good as the online segment. Gamers don’t play them, don’t care about them and make fun of them. Gaming History in China 101: Gaming Related Crime in China: Was It the Media or Was It Us? Normally when I’m browsing a Chinese gaming site, I couldn’t care less when there is a news reporting gaming related crime. Not that I’m apathetic, it’s just that these news are all the same: same scenario, same reason and same outcome. Given our perception of the propaganda-like media outlet we have in China, it is very easy for us to assume that the “news” were shaped to be the same or even created by the media to serve a purpose. That’s why they are all the same to us. But then I begin to wonder: What if the crime were really the same and the media didn’t shape the information at all? No matter what the answer is, games (online games specifically) and are to blame, every time when there is a gaming related crime. Both the media and the crime suspects blame the games for being “very addictive”. I think the media and the crime suspects shares the blame regarding game related crimes, thus here are some more questions I came up with. why did s/he spent all his/her money on games? Why did s/he choose to rob/kill someone instead of going home and call it a day? You can say that gaming is addictive, but it is not THAT addictive. If gaming is very addictive to you, well, either you should change your attitudes towards gaming or games is just not for you. To the media: why don’t you focus more on the lack of police patrol on the streets instead of the games s/he is playing? To the kid: Killing and Robbing is wrong. It might be easy given the poor safety standard in your neighborhood, but that doesn’t justify your behavior, oh no, being a kid who likes to play games doesn’t help. All I’m saying is, It’s not the games’ fault and the demonizing of games and gamers are ridiculous. (I’m a gamer but all I do recently besides playing game is writing blog posts with grammar mistakes, being a gamer does not make me a bad person). Gaming related crimes are called such only because the people involved are gamers, nothing more than that. Instead of focusing on demonizing the games, both the media and the public should focus more on the social issues revealed by such crimes.